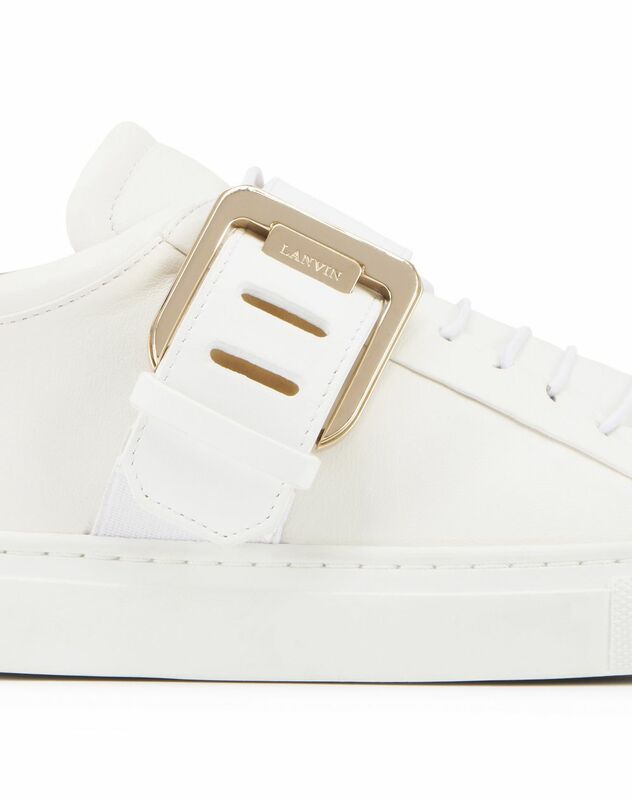 Low-top sneaker in optical white nappa lambskin leather, square pin buckle on the outer side with engraved “Lanvin” logo, elastic laces, ankle tab, tone-on-tone topstitching, calfskin leather lining with “Lanvin” logo, and tone-on-tone topstitched sole. 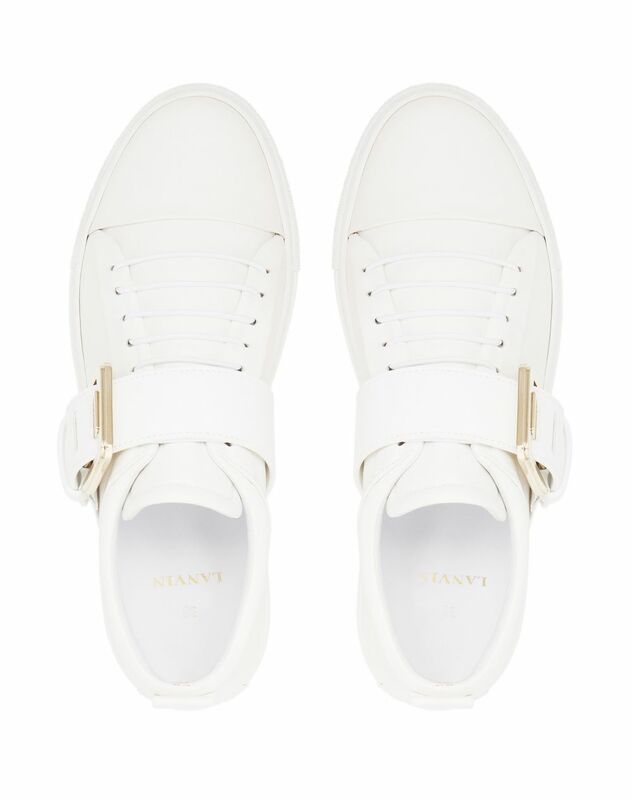 A wardrobe essential, these white sneakers are characterized by their oversized square buckle and elastic laces. 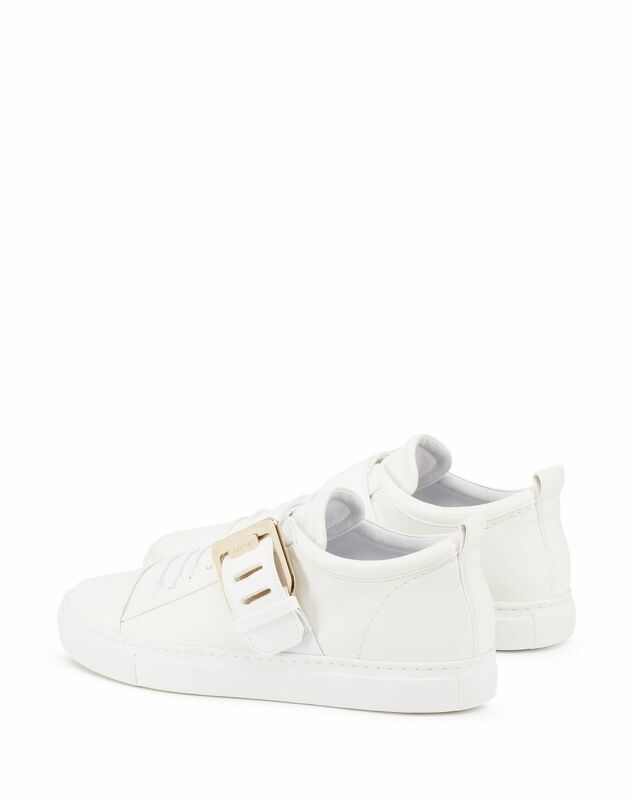 Combining comfort and modernity, these women’s sneakers provide contemporary and casual flair. 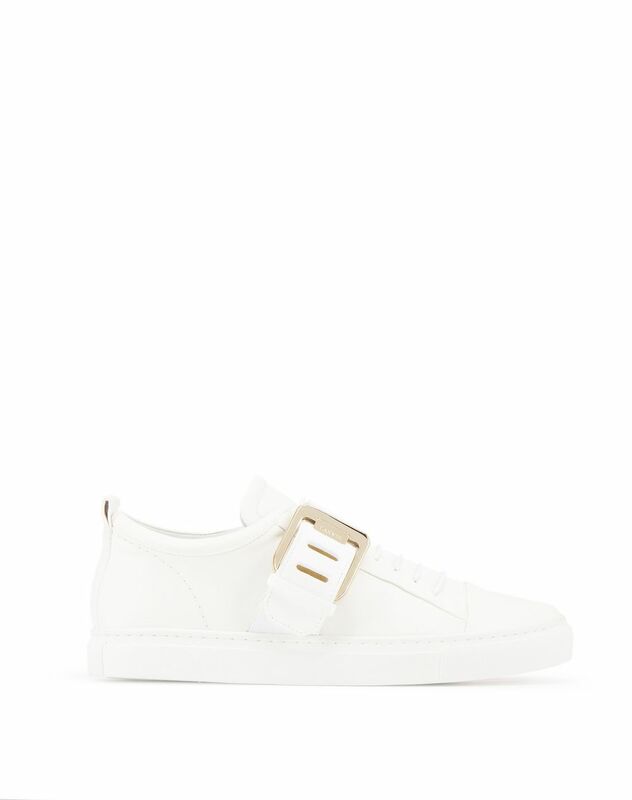 Main material: 100% lambskin leather. Lining: 100% calfskin leather. Sole: 100% rubber. Sole height: 0.8” Made in Portugal.